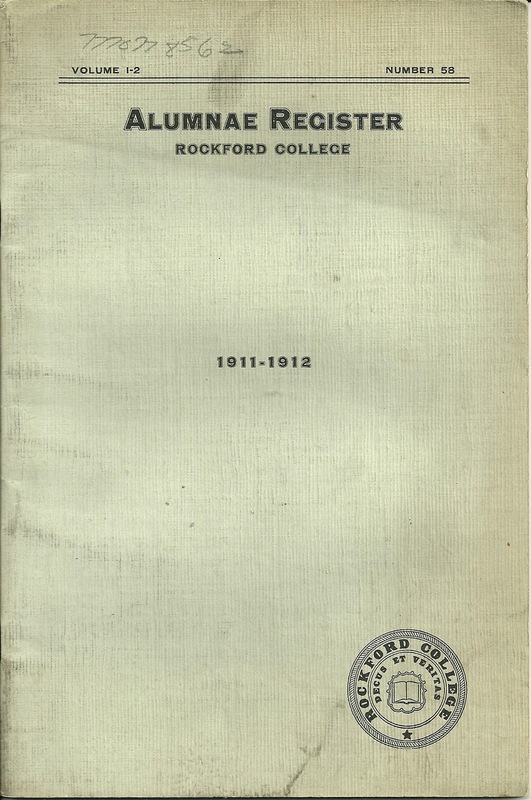 1911/1912 booklet, Volume 1-2, Number 58 of the Alumnae Register of Rockford College, Rockford, Illinois. 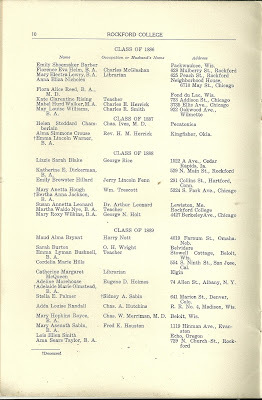 Alumnae from the Classes of 1854 to 1911 are listed, with the names, occupations or husbands' names, and addresses. 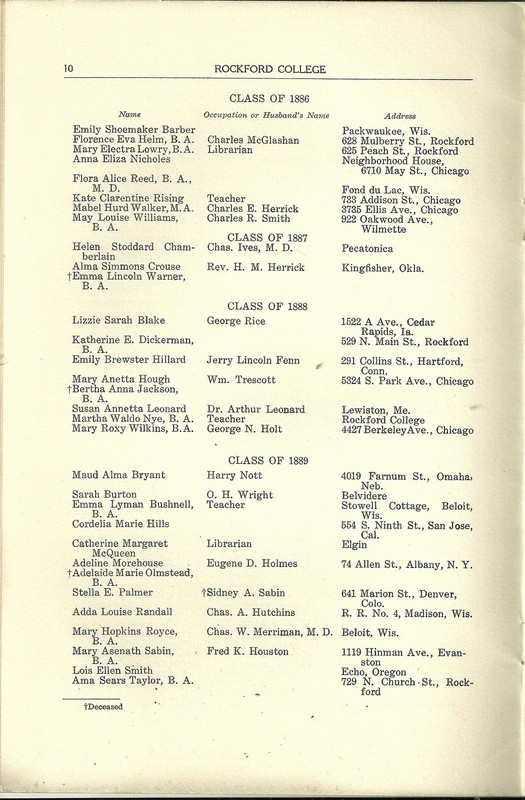 This may not be a complete listing, as it may have depended upon whether or not the alumna (or relative or friend) took steps to update the college of her status. There's a separate section at the end of the Register for the Graduates of the Music Department from 1862 to 1911 - check future posts. 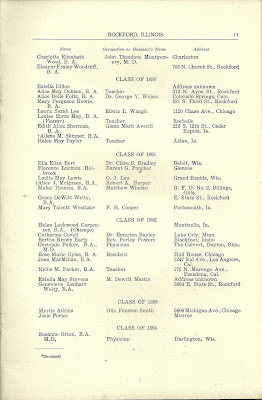 In this issue, I'll list the alumnae from Classes 1886 to 1894. 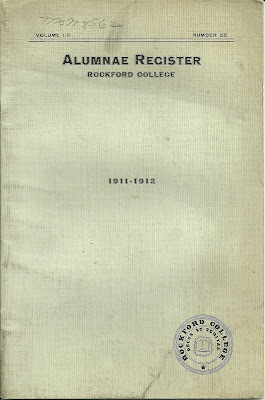 Stayed tuned as I work my way through the booklet of 24 pages to the Class of 1911. This is the fifth installment. The first installment dealt with the Classes 1854 to 1860; the second with Classes 1861 to 1868 ; the third with Classes 1868 to 1876; the fourth with classes 1877 to 1884 - check the blog archives. †Emma Lincoln Warner, B. A. †Bertha Anna Jackson, B. A. †Adelaide Marie Olmstead, B. A. †Allene M. Skinner, B. A. If you have any insights into the genealogy of any of the people listed above, please leave a comment or contact me directly.